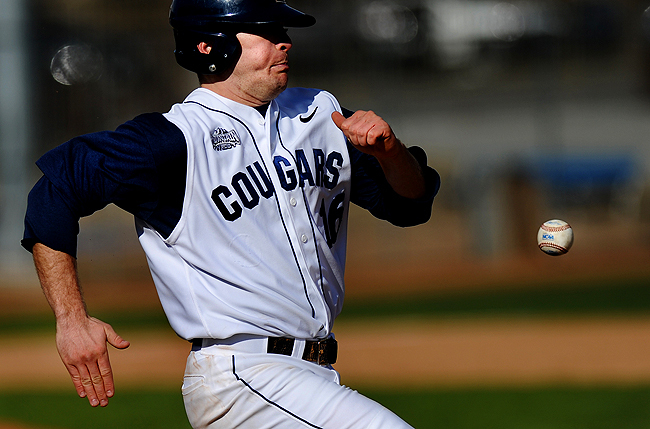 "BYU's Dane Nielsen (16) attempts to outrun the ball as he sprints to first base against Washington at Miller Field on the campus of BYU, Thursday, March 11, 2010." Just another baseball frame I liked from the other day. I was always told growing up, you cannot outrun the ball. That goes for any sport you play. One simply cannot be faster than the ball. With that, I cannot believe baseball season is just starting. It's going to be a long season of sitting. hardly just another baseball frame, dude. DUDE. that is an awesome shot!! This is one of the coolest baseball frames I have seen in a long long time. Great work man!